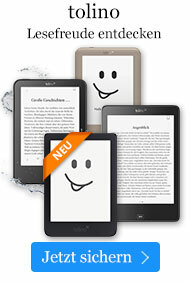 eBook € 31,74* inkl. MwSt. The Science and Practice of Herbal Medicine. Medical Herbalism contains comprehensive information concerning the identification and use of medicinal plants by chemical structure and physiological effect, the art and science of making herbal medicine, the limitations and potential of viewing herbs chemically, and the challenge to current research paradigms posed by complex plant medicines. It also includes information on toxicology and contraindications, the issues involved in determining dosage and formulation types for an individual, guides to the different measurement systems and conversion tables, and the pros and cons of both industrial and traditional techniques. With additional sections devoted to the principles of green medicine, the history of Western Herbalism, the variety of other medical modalities using medicinal plants, an extensive resource directory, and a discussion of treatments organized by body system, Medical Herbalism is the comprehensive textbook all students and practitioners of clinical herbalism need to develop their healing practices. David Hoffmann, FNIMH, AHG, has been a clinical medical herbalist since 1979. A Fellow of Britain's National Institute of Medical Herbalists, he is one of the founding members of the American Herbalists Guild and the author of 17 books, including Herbs for Healthy Aging, Medical Herbalism, The Complete Illustrated Holistic Herbal, and The Herbal Handbook. He teaches herbal medicine throughout the English-speaking world and lives in California.